A "bone worm," that excretes acid sounds like a villainous species from comic book, but this real-life mouthless and gutless creature actually lives on the ocean floor. In a new study, the genus Osedax -- sometimes nicknamed "zombie worm" -- has been found to use a bone-melting acid to consume the skeletons of water mammals. The mouthless, gutless worms excrete an acid that enables them to gain access to the nutrients inside of the bones. The research was conducted by the Scripps Institution of Oceanography, which part of the University of California, San Diego. "The acid presumably allows the worms to release and absorb collagen and lipids that are trapped in bone," Martin Tresguerres, one of the researchers, said in a statement. "This model is remarkably similar to how mammals repair and remodel bone; however Osedax secrete acid to dissolve foreign bone and access nutrients." Tresguerres explains that these bizarre worms use a "proton pump" to secrete acid on the bone, similar to how our kidneys process blood and urine functions. They typically feed on whale carcases, but have also been found to eat fish bones, which leads researchers to assume that they have been around longer than many modern day sea creatures. However, since they do not have a mouth, the bone worms must rely on bacteria to help them process the nutrients. The research suggests that the bacteria may separate the organic compounds in the bone so that the worms can absorb some of it providing a symbiotic relationship. 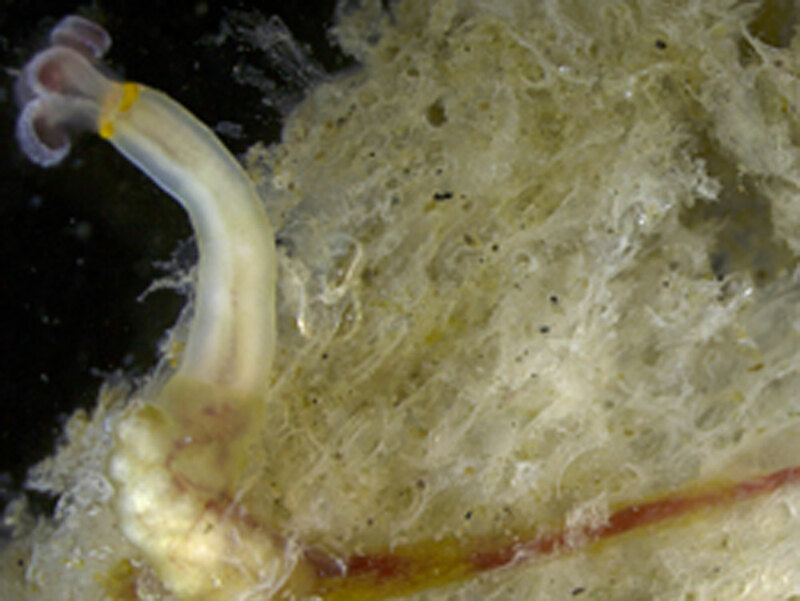 "The Osedax symbiosis shows that nutrition is even more diverse than we imagined and our results are one step closer in untangling the special relationship between the worm and its bacteria," Scripps postdoctoral researcher Sigrid Katz said in a statement.